It’s official. The paperwork is done, and I’m thrilled to announce that next September, McClelland & Stewart will publish the sequel to TBLP, entitled The High Road. 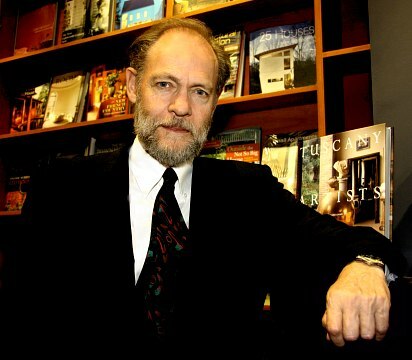 Even better, Douglas Gibson will again be my editor and publisher, under his own M&S imprint. There’s none better than he (he’s edited Alice Munro, Robertson Davies, W. O. Mitchell, and the long list goes on and on). I could not be happier. I had always hoped that it would unfold in this way after M&S published TBLP, but in this uncertain climate, it’s never really done until the contract is signed. Well, the ink is now dry. I want to thank my wonderful literary agent, Beverley Slopen, who worked with Doug and M&S to make this happen. In the next few weeks, I’ll be doing some final tweaking to the manuscript based on Doug Gibson’s close editorial review. I’m pleased that there’s not much left to do on it and it’ll be done by early January. Then Doug and M&S take over. There’s cover design to do, layout, and cover copy, among other steps along the way. We’re also trying to gather some big names to provide endorsements of sorts that might appear somewhere on the front or back covers. So far, Jim Cuddy, the amazing singer/songwriter from Blue Rodeo, has agreed to “blurb” the novel. He said he really enjoyed TBLP, and who am I to argue? (If you’re wondering how I was able to connect with Jim, we actually play on the same ball hockey team. He’s a great guy and a stalwart defenceman too. )Â As well, former Leacock Medal winner Ian Ferguson (another great guy — hilarious too — I’ve come to know since meeting him at last year’s Leacock Luncheon) has also promised to provide a quotation.Â Of course, neither of these great Canadians has yet read The High Road manuscript, but here’s hoping they like it when they do early in 2010. Fingers crossed. Congratulations! I’m looking forward to an early read. Congratulations, Terry! I can’t wait to read the next installment. Congratulations Terry. Best Laid Plans was a great read. Its success was entirely deserved. And now, the wait for The High Road. Something to look forward to in the autumn 2010 publishing season. Many thanks for the kinds words Metro, Amanda, and Joe.